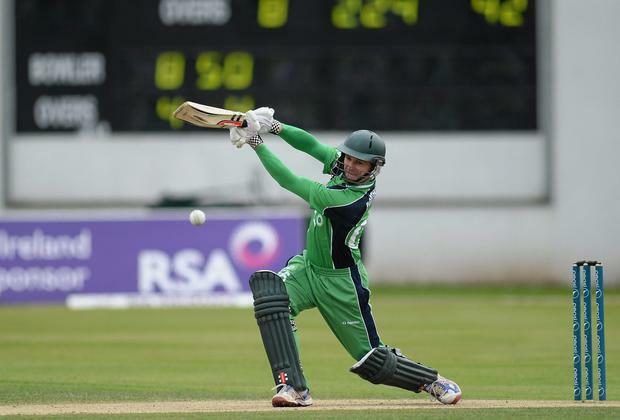 William Porterfield is aiming to add a sixth Test team to his list of big-name scalps when Ireland take on T20 world champions Sri Lanka in the two-match One-Day International Series at Clontarf this week. Ireland have beaten the West Indies and Zimbabwe since the turn of the year and a hat-trick could be completed – either today or on Thursday – against a side missing star bowler Lasith Malinga, and unfamiliar with early-season conditions in Dublin. Pakistan, England and Bangladesh have also been toppled by Ireland in the past seven years but none of those victories have been on home soil. "It's no secret we have yet to beat a major team in Belfast or Dublin and that's something we want to put right," said Ireland captain Porterfield. "We tied with Pakistan last year and probably should have won both games, so we have to learn to finish off teams. "We've done very well to take early wickets in our last few home games but we have to look at ways to keep on taking wickets all the way through an innings, and keep the pressure on opponents. "The way a lot of the big teams are approaching ODIs these days is to set up for the back end of the innings by keeping wickets in hand, so the more wickets you can take, the more you can delay that final push in the death overs." While the absence of Malinga will be a disappointment to the two bumper crowds expected to pack into the Castle Avenue ground, Ireland's batsmen will be happy to avoid possibly the best fast bowler in limited overs cricket. Ireland have their full complement of county professionals available, including veteran Ed Joyce, who is in the form of his life with three championship centuries already under his belt this year for Sussex. "I feel really good body-wise – actually better than I did two or three years ago – and obviously I've started the season really well," the 35-year-old said. "It's never easy batting at Clontarf at this time of year but our seam bowlers know those conditions well and that should give us a big advantage over the two games." Ireland coach Phil Simmons believes the expected chilly conditions could aid his team. Sri Lanka captain Angelo Mathews admitted that the visitors were finding the temperatures "too cold" as they trained at Clontarf. Simmons said: "I don't think they will like it and I hope it is (even) a little colder than it is today." IRELAND (from) – W Porterfield (captain, Warwickshire), A Cusack (Clontarf), A Poynter (Clontarf), G Dockrell (Somerset), E Joyce (Sussex), T Murtagh (Middlesex), P Stirling (Middlesex), A McBrine (Donemana), K O'Brien (Railway Union), N O'Brien (Leicestershire), M Sorensen (The Hills), S Thompson (Eglinton), G Wilson (Surrey). Sri Lanka (from): A Mathews (capt), L Thirimanne, D Chandimal, C de Silva, N Dickwella, S Eranga, N Kulasekara, S Lakmal, A Mendis, K Perera, D Prasad, A Priyanjan, S Senanayake, U Tharanga, K Vithanage. Independent.ie Newsdesk NAOMH COLMCILLE are set to appeal an eight-week suspension from adult competitions after hosting a charity soccer tournament.